Exactly solvable models are very important in physics from a theoretical point of view and also from the experimentalist´s perspective, because in such cases theoretical results and experimental results can be compared without ambiguity. This is a book about an important class of exactly solvable models in physics. The subject area is the Bethe-ansatz approach for a number of one-dimensional models, and the setting up of equations within this approach to determine the thermodynamics of these systems. It is a topic that crosses the boundaries among condensed matter physics, mathematics and field theory. 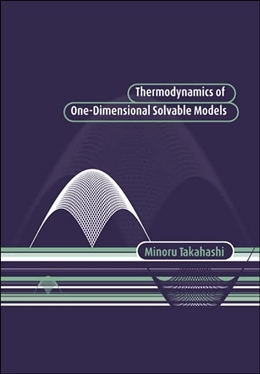 The derivation and application of thermodynamic Bethe-ansatz equations for one-dimensional models are explained in detail. This technique is indispensable for physicists studying the low-temperature properties of one-dimensional substances. Written by the originator of much of the work in the subject, this book will be of great interest to theoretical condensed matter physicists.